We recently started a Vine channel here at HarpinOnRugby so we figured it was high time we got going over on Instagram as well. The above shot is the one we have chosen to christen the account and it is easily our most popular one so far. 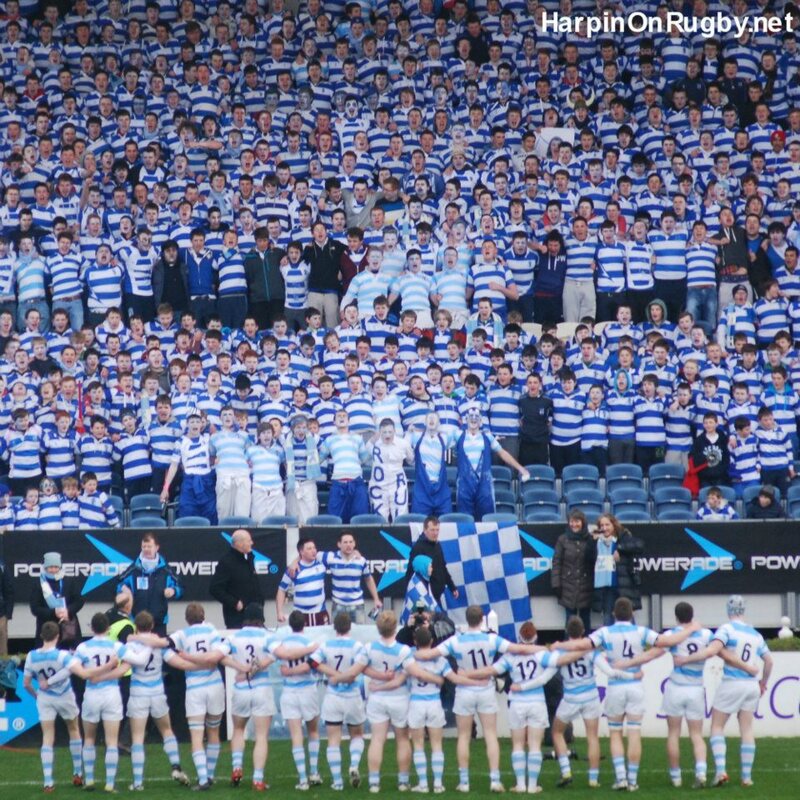 It was taken before the 2013 Leinster Senior Schools' Cup final as the Blackrock side sang "Rock boys are we" to their supporters before kick off. In the shot are some of the players currently in the Irish Under 20s squad over in Italy for the World Championship like Garry Ringrose, Charlie Rock and Nick Timoney. 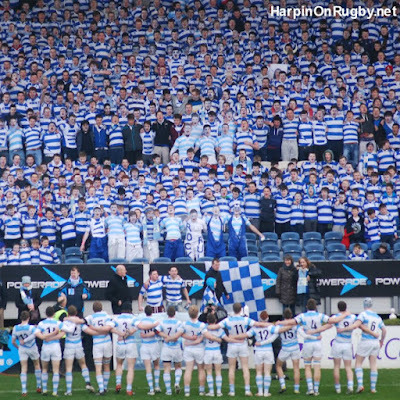 Over the summer we'll put up more snaps from the past to the account and hopefully from the start of next season there will be some photos of some success for Leinster & Ireland to add to the collection! Also if you have one of your own you'd like to share to a wider audience by all means send it in and we will of course give you full credit! Click here to view the new Instagram account - be sure to follow!